Call it blogger, call it blogspot call it the Google bought blogging platform, “Blogger” without doubts comes on the top of the list of blogging platforms. 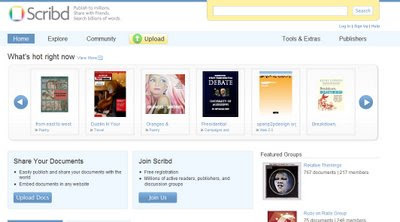 Yes Wordpress with arguments is the top blogging platform and blogging CMS but it has dual advantage, in one hand there is wordpress.com to host blogs and on the other you can download the free and open Blogging CMS at wordpress.org. Blogger has advantages like being faster indexed by Google and Wordpress is said to be simpler to use with loads of modules/add ons and themes. Which one you use is a personal choice. Leaving these things aside, when you blog on a platform not your own webhost you just seem to have the database space, so where do you host your other files and things. If you need to stream audio or video what do you do? You ought to let your visitors download files then where to host it as your blogging platform does not give you any webspace?? Here is a list of 5+ sites that will be very useful if you use blogger as your blogging platform. 1. Mediafire.com: This site is a very good file host. Allowing files up to 100MB upload for free, with unlimited space, uploads and bandwidth for free users its a great solution to host your files be it MP3, text files or PDF you need you visitors to download. Just register (recommended) and upload your files get the URL to download and put it in your blog posts. 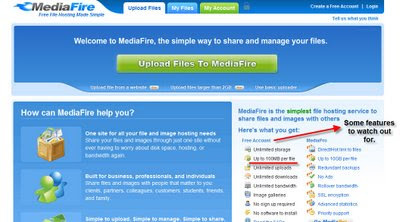 I’ve many files hosted at Mediafire and its a good service provider with download counter as well. The new AJAXy feel makes it fun to upload files. It does not provide a direct link, you can consider lots of other options but I find MediaFire suiting my needs. 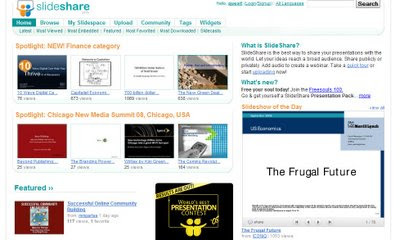 Scribd.com on the other hand seems a super set of Slideshare it allows uploading of word, excel, powerpoint, pdf and text files with support for open office files as well. For both sites you can embed your docs to your blog or anywhere. Like I have one here. 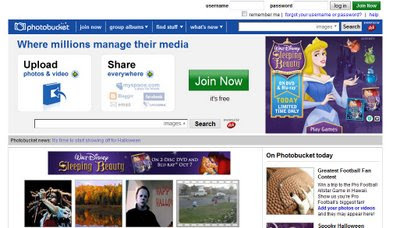 3.Photobucket.com: You might think Google’s Picassa is doing a good job or why not Flickr. A simple reason is Photobucket allows hotlinking and most of the blogger themes have their photos hosted there. My last theme also had the needed header and background images hosted there. So photobucket with code to embed photos may be an easier solution to you. 4.Btemplates.com: This might not be a very useful site as the above but if you think your blogger blog is looking lame and needs a facelift then go no further. Btemplates.com (Runs on Wordpress I guess) is a great site to find a wide variety of blogger templates/themes/skins with user generated content(UGC). 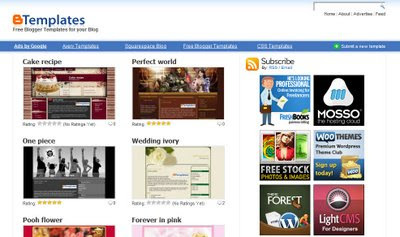 Templates are submitted and you can find ports of themes from Wordpress, Drupal etc. Good site to check out if you are in need of a template change, but keep your old template backed up and get ready to loose some page elements as changing template is not so easy in blogger. Well other helpful sites are Youtube, to embed videos. I’ve been in search for a youtube for audio but have not got a good one till now. You might want to try Google Chart if you need some graphs on your blog. Have fun happy blogging, may these sites help you as they have helped me to build a richer blog and better blogging experience.